2015 was arguably the best year for the proximity marketing industry yet. While majority of the beacon use cases that the industry and media talked about towards the beginning of 2015 were around retail, over the course of time this has changed. Today, beacons have impacted a number of verticals, right from museums to hospitals to stadiums to workspaces and even educational institutions. According to Patrick Connolly from ABI Research, sectors outside retail markets are (and will continue to be) a huge growth area. Nevertheless, towards the end of 2015, many mainstream publications (for example, Bloomberg) failed to grasp the value of proximity marketing and went on to question if Apple’s iBeacon technology has failed to live up to its hype – even though it’s been in the market only since mid-2013. Industry insiders believe it’s too early to pass a judgment. 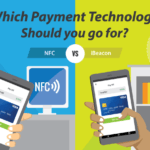 In a recent interview by Mobile Payments Today, Jim Meckley, CMO of Mobiquity Networks, stated that, while beacons hold great potential to increase in-store mobile engagement and in turn lead to more revenue for retailers, the deployment part of the plan is much more complex than what everyone gave it credit for initially. We at MobStac, couldn’t agree more. Deployment of proximity infrastructure is a process that takes time. Businesses need to double check on whether or not they are leveraging beacons in the right manner, before moving forward. This is one of the primary reasons why most businesses end up developing their use cases slowly – one feature at a time. 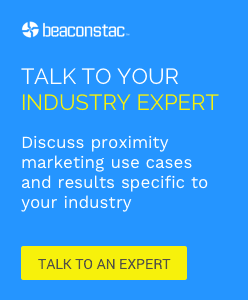 While the best practices around how brands can use beacons to engage users mostly revolve around knowing the needs and wants of their consumers and offering them something unique, while respecting their privacy – it is often easier said than done. Most of the times the engagement turns out to be either intrusive, generic or non-relevant. In this blog, we will discuss 5 highly effective beacon campaigns of recent times and the lessons that they offer on user engagement. 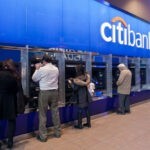 In their effort to cement themselves at the forefront of the future payments landscape, Danske Bank, a Danish bank partnered with GoAppified and Netclearence Systems to provide for faster checkouts, by equipping offline retail stores with beacons. In order to accelerate the checkout process, they integrated beacons with their popular MobilePay app, which had a strong user base of more than three million Danish residents. As a part of their campaign, beacons were deployed at the checkout counters of over several hundred retail stores across Nordics. After customers scanned their items at checkout, they were allowed to pay by waving their smartphone over the beacon at the counter. Upon having done this, they would receive a notification displaying the total amount, which they could then confirm by swiping to the right as in the case of traditional MobilePay payments. It is no secret that mobile payments hold great potential to make the shopping experience more comfortable and faster, by allowing customers to checkout with a couple of clicks. Experts predict that this will be one of the key areas where iBeacon technology will be put to use in 2016. Not surprising, given that the total value of proximity mobile payments is poised to see a significant growth of 210% in 2016. According to eMarketer’s latest proximity mobile payments report, by 2016, total mobile payment transactions are forecasted to reach $27.05 billion, with users spending an average of $721.47 annually. One of the primary challenges faced by museums and exhibitions all over, revolves around attracting the younger generations. 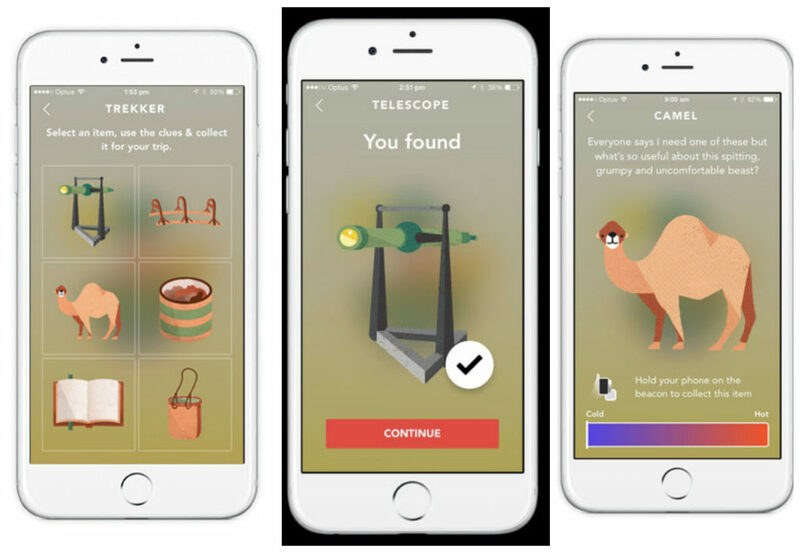 One way to tackle this problem is to gamify the experience and that’s exactly how Australian Museum put beacons to use. They developed a beacon-enabled app called Trailblazer which employed a scavenger hunt to allow users to select a character and collect items in the exhibition. The app was developed targeted toward 8-12 year olds, with the hope that parents would assist younger children to complete the games. In their effort to engage with the younger audience, the app leveraged simple screen animations while keeping the text minimal and used clear graphic prompts to highlight progress with users. One of the interesting features employed by the app was the ‘Radar’ feature, a hot and cold sensor bar, that indicated how close a user was to the current object (beacon) they were trying to locate. The radar calculated the distance between the device and the object (beacon) and then used graphic prompts to represent this to users. Although the above mentioned example is that of a museum, gamification is already being extensively employed by retailers all over. In fact, gamification is forecasted to be an essential element for brands to drive customer marketing and loyalty in 2016. Not surprising, given how retail adoption of the gamification strategy has escalated to 31% in 2015 from 6% in 2014, and is projected to increase by 181% in the next five years, according to a recent report by Boston Retail Partners. Beacons can help brands with this by creating positive brand awareness while offering enhanced visitor engagement. Imagine going into a hotel, checking-in, ordering room service, booking a taxi, making a dinner reservation – all using a smartphone. Thanks to iBeacon technology, this is already possible. The HelloTel app used beacons to create a social network where travelers could check into their hotel, search for other nearby users and interact with them by sharing their own posts or photos or commenting on the status updates of others or even sending private messages. All in all the app offers an easy way for anyone who is comfortable with social media to find someone with whom they can have a drink or dine with. Proximi Tel, the platform that powers the app is far more complex. It harnesses the power of beacons to connect hotels with their guests. Once the beacon detects that a guest has entered a set proximity, it collects the data on the guest including his/her demographics, likes, friends, hobbies, reviews, social media activity, and more. This data can then used by hotels to send push notifications offering food and drink specials, massage or spa package deals. It goes without saying that hotel apps in combination with beacons can take away many of the hotel formalities and make aspects such as room service, contact with staff, and in-room entertainment more interactive. 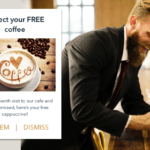 Beacons offer a win-win situation where both the guests and the hotel benefit – the guest gets personalized messages that he finds engaging while the hotel can generate more revenue. With many big players such as The James Hotels and Starwoods Hotels and Resorts already having implemented iBeacon technology, we can expect to see more innovative beacon use cases on the hospitality and tourism front in 2016. Swiss startup Blinq leveraged beacons to revolutionise the way people connect on dating apps, by giving their users a real life context to the online dating experience. As a part of their campaign, the brand installed beacons at many clubs and bars across Zurich. The app then used iBeacon technology to alert users if any singles that match their interests were in the same location, at the same time via the in-app feature called InstaConnect. Once a nearby single with matched interests pops up as a notification, users are allowed to either choose to say Hi or Bye to them. The app also uses a Hotspot feature, which gives users a list of 5 top clubs and bars which suits them the most. These clubs and bars are listed out on the basis of real-time trends, such as the distance to the venues and the activity (number of people) at the venue. This HotSpot feature plays a critical role in Blinq’s -business model as a B2B service. It allows partnering bars and clubs to position themselves in the nightlife market and directly connect to a large user base by pushing out relevant offers. Thus Blinq is a perfect example of an app that uses other location-based technologies (GPS in this case) in combination with iBeacon technology. In spite of the differences between location-based technologies like GPS, Wi-Fi, geofencing and iBeacon technology, they work best when used together. For example, brands can leverage geofencing along with beacons to remind their users to switch on their bluetooth. Similarly, Wi-Fi can be used to provide for faster data connection, which plays a critical role in enabling apps to interact with beacons. Held at Netherlands once in every five years, Sail Amsterdam is the largest nautical event in the world. The 2015 edition of this event leveraged a total of 232 beacons across 5 beacon networks to gain a solid understanding of the needs and preferences of their visitors. For example, using beacon analytics they learned that the promotional and informative push notifications saw a lower open rate of 13% and 19% respectively, in comparison with notification about ships, which saw an open rate of 26%. Moreover, they also learnt that when it comes to impactful notifications, the context of the visitor is as critical as the timing at which the notification is sent. This was clearly reflected in the analytics data that depicted a 29% open rate for notifications that were sent to users as they stood still watching ships pass by during the SAIL-in parade compared to 25% open rate for notifications that were sent to users as they walked around to see ships in the harbour. It is no secret that, merely deploying beacons won’t give brands an edge over the competitors. Brands need to invest in data analytics and use this intelligence to drive conversions and increase revenue. For this, it is crucial that brands have a solid understanding of the metrics involved in data-driven decision making. Such data can then help them strive towards delivering a better customer experience. are there any rough numbers in terms of real audience reached by those beacons notifications ?